Our bamboo molding and trims add a professional, finished look to your home. All of our bamboo moldings and trim pieces match the bamboo flooring we sell. If you have an existing bamboo floor and need moldings, give us a call. Our bamboo baseboard moldings and trims may match. 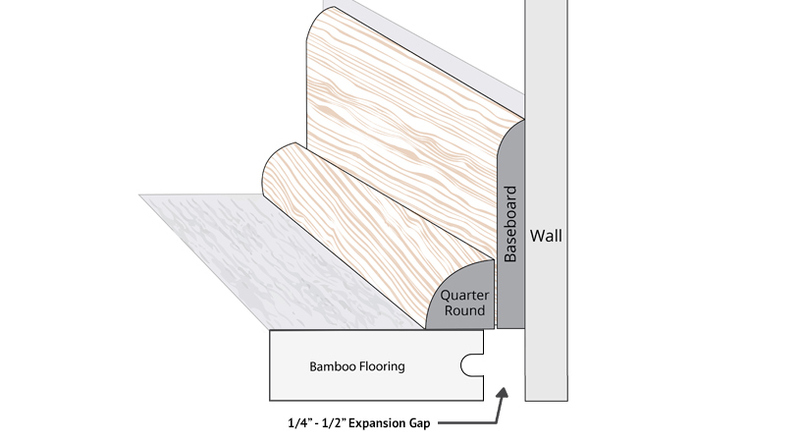 Similar to shoe molding, bamboo quarter round acts as a transition between the floor and the wall and is often used to cover up gaps between the two (and is often used in conjunction with baseboard. 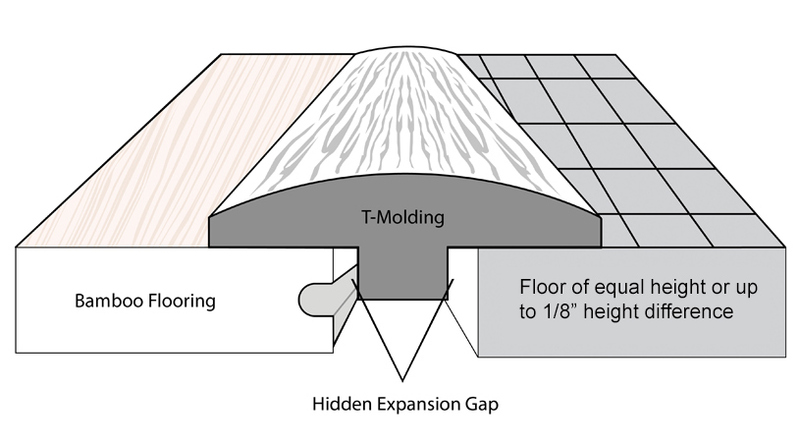 Bamboo T molding is most often used to transition from one flooring surface to another flooring surface of the same height. Eliminate awkward gaps in your flooring with a high-quality, sustainable bamboo reducer from Ambient Bamboo Floors. 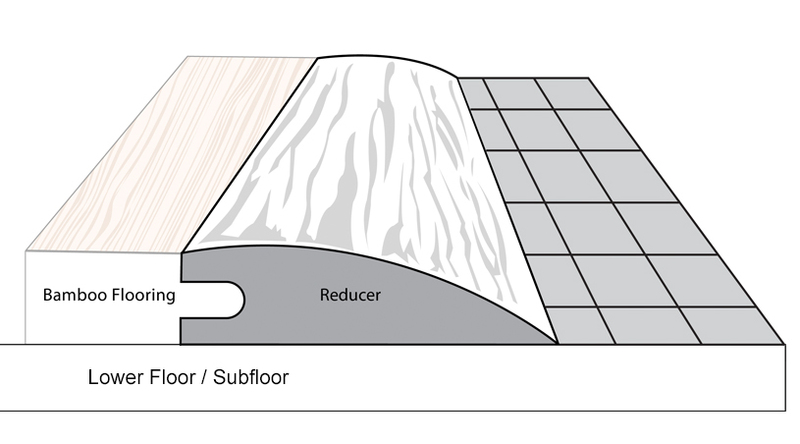 Bamboo reducers are used to transition from bamboo flooring to a lower surface, such as vinyl or short-pile carpet. Bamboo thresholds are often used to transition from a bamboo floor to a front door or sliding glass door. They can also be used to transition from a bamboo floor to a floor of a different height - either slightly higher or slightly lower. 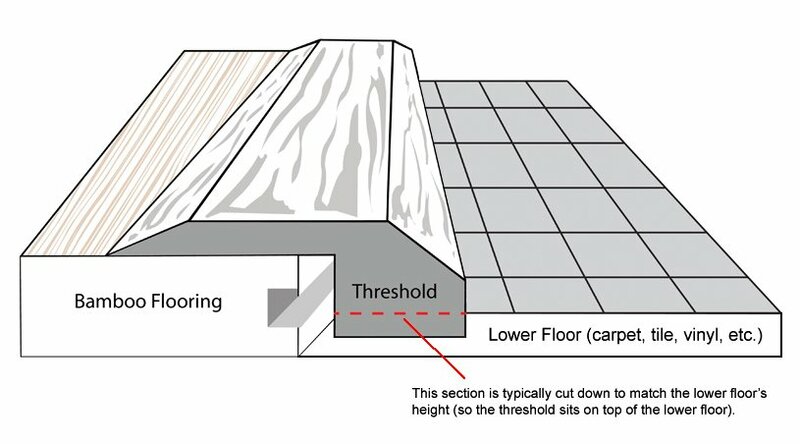 Bamboo stair nosing, also known as bamboo stair nose, bull nose or bull nosing, is used to transition from a bamboo staircase up a level in your home, or on staircase landings or floor step downs. Bamboo stair treads are the horizontal surfaces of the stairs - the parts you step on. 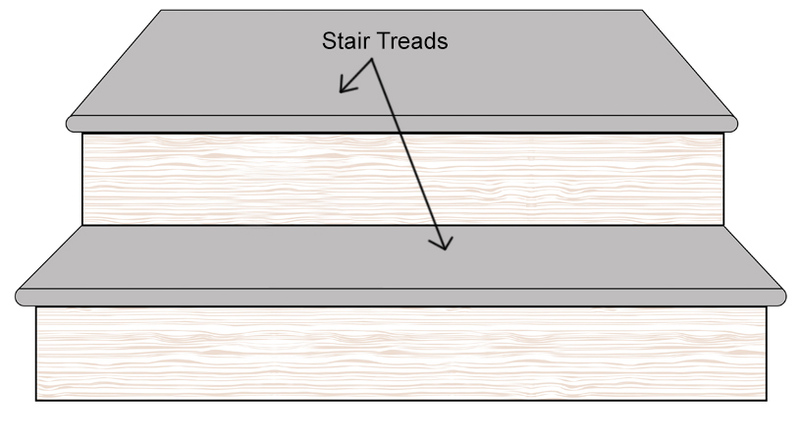 All of our bamboo stair treads have three rounded edges - on the front, left and right sides. These pieces come as 4' pieces and can be trimmed to accommodate narrower stairs. Bamboo stair risers are the vertical pieces of the stair steps. They "rise" up from one tread to another. We offer a wide selection of bamboo stair pieces that add the perfect accent to any renovation. 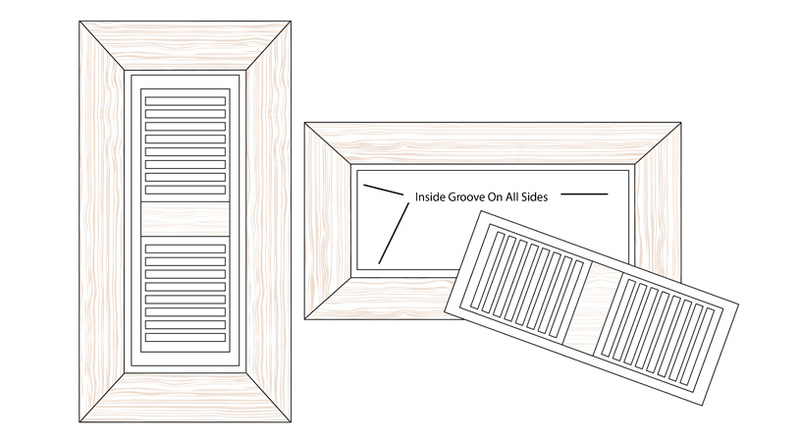 Bamboo vent grills (also called dampeners or registers) give your floor a finished look by covering heating and air conditioning vents with registers that match your bamboo floor. Bamboo baseboards, also known as wall base, are used to cover the lowest part of an interior wall. These baseboards cover any uneven cuts along the bottom of a wall and act as a beautiful transition between wall and floor. 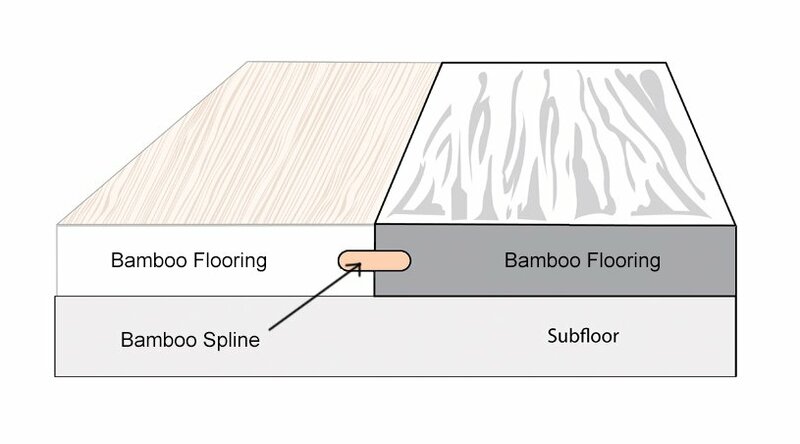 Bamboo spline helps transition when you change direction in your flooring planks. 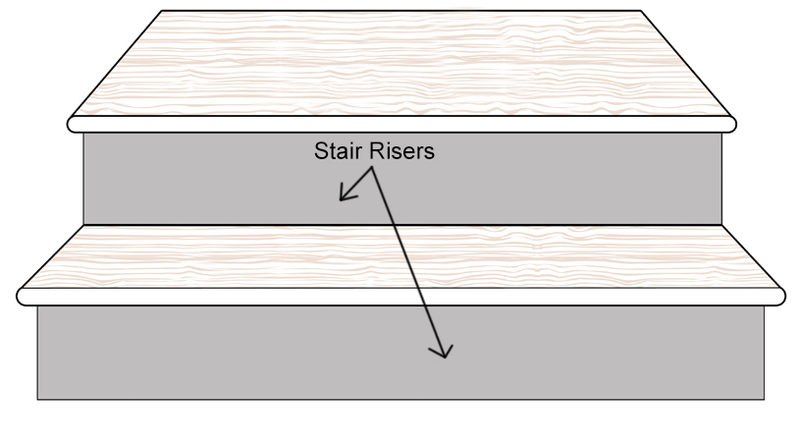 It allows you to place two planks (tongue sides) together and continue your flooring installation. 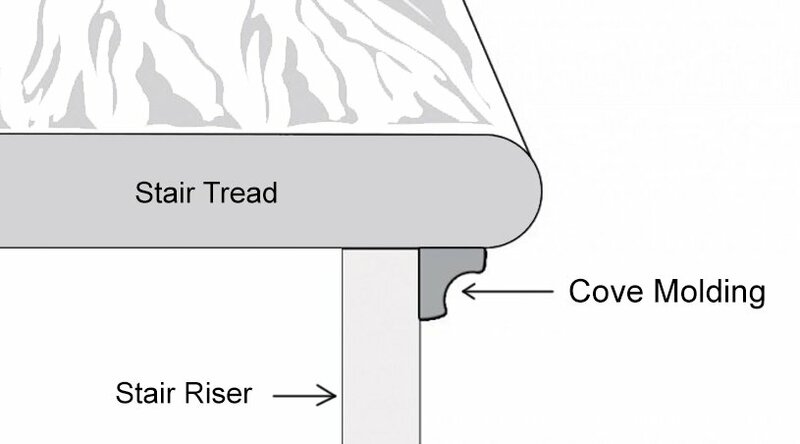 Click the links below to learn more about each of our moldings. As one of the U.S.'s foremost bamboo floor suppliers, we are proud to offer everything you need to create beautiful home interiors, including bamboo moldings and accessories. We offer just about every type of molding and trim you can imagine, all designed to complement your existing wood floors as well as your current home style and decor. If you're interested in bamboo stair treads and bamboo risers, we have those too. Simply select the type of molding you need and learn more about the specifications and installation process. Please contact us if you have questions about specific moldings or other products such as woven bamboo flooring. We'll be happy to talk with you about what you might need. Environmentally conscious homeowners have been turning to bamboo trim and flooring for years now, and it's no surprise why - bamboo offers the strength, durability and good looks of hardwood in an economical and sustainable package. Because bamboo is a renewable resource, it's available at a fraction of the cost of other materials. Our bamboo molding and trim pieces provide the perfect accent to any room. Whether you're looking to replace the existing trim in a room or are putting in a completely new floor installation, we've got the finishing extras you need to get any job done right. Bamboo trim moldings from Ambient Bamboo Floors add the final touch to your renovation project. We have a wide variety of styles and finishes available to match any decor. Take your pick from our selection of bamboo baseboard moldings, risers and floor vents, and stair treads—all built to withstand anything a busy family can throw at them. 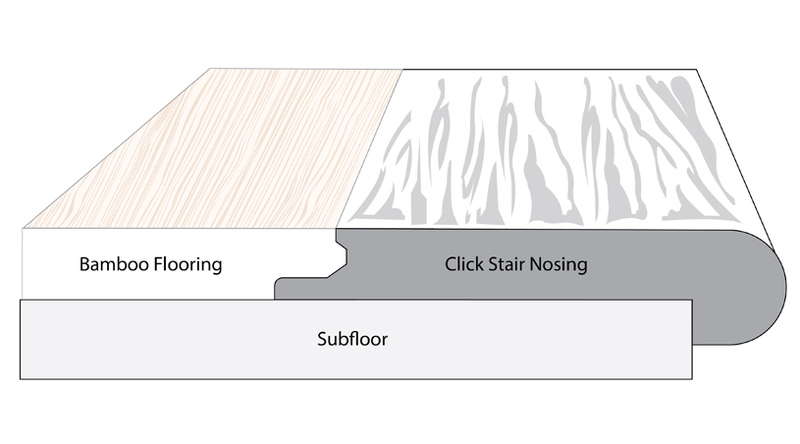 Our bamboo baseboard moldings and other products are finished with our exclusive AccuSeal® Finish System, offering you the best in strength and protection. In fact, we warranty the finish of all our floors for 30 years. It doesn't take an expert handyman to spruce up a room with one of our bamboo wood trim pieces. You won't need any special tools or materials that can't be found in an average hardware store. In fact, all you need is a nail gun or non-water-based adhesive to secure your bamboo molding or trim piece. Maintenance is easy as well - stains and scuffmarks can usually be rubbed out with a damp cloth. We Are The Customer Service Experts! For all your bamboo wood trim and flooring needs, you can count on Ambient Bamboo Floors. As a BBB A+ certified business, we've been a customer service leader since 2005. Give us a call today - our team of experts is on hand to answer all your questions!